Home » About Us » Our Doctors » Kirsten Jansen, M.D. Dr. Jansen is a native of St. Louis who completed her undergraduate and medical school training at the University of Missouri - Kansas City. From there she traveled to Portland, Oregon for 5 years of Orthopedic Surgery residency training at Oregon Health and Science University. Dr. Jansen completed an extra year of fellowship training to specialize in hip and knee replacements at Indiana University under the mentorship of Dr. R. Michael Meneghini a world renowned joint replacement surgeon. 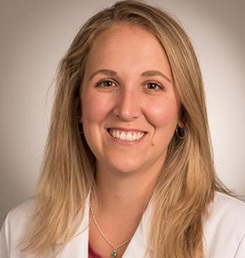 She returned to St. Louis and joined STL Orthopedics in September of 2017.